George Huntley was born in 8 December 1770 in Colchester, Colony of Connecticut and died 6 Oct 1842 Hartland, Livingston Co, Michigan. He married Betsey Church 3 Sep 1792 in East Haddam, Middlesex Co., Connecticut. George Huntley was one of the first settlers of Parma, Monroe Co., New York about 1802-03. He kept the first tavern at Odgen Center before 1810. He was a Captain in Lt. Col. William Rumsey's Regt. in 1808 and 1st Major in 1811. In the War of 1812 he was a Major in Atchinson's Regt. of New York Militia. He in one of the first landholders in Livingston County, Michigan with a 1834 Land Patent for Section 23 in Hartland Township. William E. Huntley was born 3 September 1804 in Ogden Township, New York and died 19 May 1872 in Howell, Michigan. The son of George and Betsey Huntley. He started a family with his wife Hulduh Mariah Sheldon in New York, where their first three children were born. They headed west and their fourth child Delia was born 1834 in Ohio. By the 1840 census they were living in Hartland Township, Livingston County, Michigan. They later moved to Howell Township and he was Sheriff from 1846-1850. Then he was a tavern keeper in Howell. In 1857 his Eagle Hotel(or tavern) burned down in the first large fire in the village. William ran several businesses with his son Ira (William Huntley & Son). They operated Shaft's Hotel until 1860. Now called the Rubert House. The building was moved and currently is an apartment house. They also ran a livery stable in Howell, Michigan. Eliza Huntley is the daughter of William and Hulduh Huntley. She was born in 21 November 1827 in Ogden, New York. She was one of the early school teachers in Livingston County. 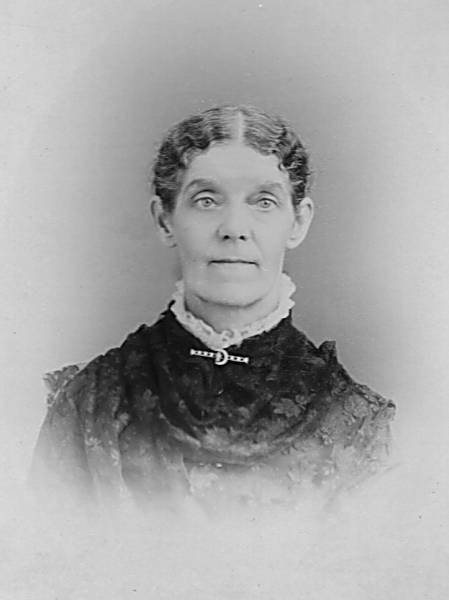 Her aunt Sarah (Huntley) Bullard was the first teacher in Brighton Township in 1834 and Hartland Township in 1836. Eliza married William Colby 21 February 1854 in Howell, Michigan. They had a farm in Woodhull Township, Shiawassee County, Michigan. They had five children Floyd, Viola, William, Erle, and Sheridan. Eliza died 8 September 1904 and is burried in the Graham Cemetary, Woodhull Township, Shiawassee County, Michigan.